When steak arrives in L.A. from Midwestern States, maybe Illinois or Colorado, things change. The big beautiful slab of USDA prime may remain center-of-the-plate and center-of-attention, but all around it are elements of other cultures – Mexican, Japanese, Italian, and others – a wonderful mashup of different flavors. All of which makes eating steak in L.A. an experience like no other. Red O. Chicago chef Rick Bayless, James Beard award winner and the man who has done more than anyone else to introduce gringos to the subtleties of Mexican cuisine, opened Red O to spread his influence to the West Coast. Here, red meat and Mexican go together like guacamole and chips. Your 8 oz. Prime New York Strip can come with a mound of Mexican street corn, your 10 oz. Prime Cowboy Ribeye with sauces of chipotle crema or roasted tomato salsa huevona. Bayless shows you how wonderful south of the border steak can be. Boa Steakhouse. With several locations in the greater L.A. area, Boa Steakhouse brings the all-American steak together with the best that Japan has to offer – but not necessarily in that order. Zagat raves about “hyper hip, super creative extraordinary sushi” served by this restaurant group, which you’ll probably want as a starter, and at Boa there’s is a long list of prepared fish – Roasted Branzino, Chilean Seabass – to rival any of the best fish specialty houses in Los Angeles. But the meat, oh man, the meat: 40 Day Dry-Aged New York Strip, Premium American and Japanese Wagyu. Hard to decide between fish and beef? No problem: have both. Chianina Steakhouse. Named after the famous white steer of Tuscany, Chianina Steakhouse, as you might expect, serves up some spectacular steak. 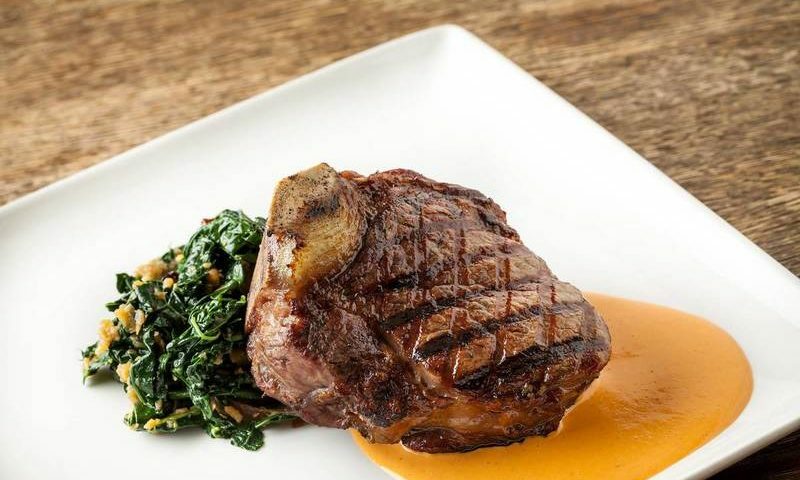 At this steakhouse, you can enjoy the only Chianina raised in the U.S., as well as Piedmontese and Black Angus steak. Accompaniments reflect the Italian roots of the restaurant: there’s risotto and trofie (a twisted pasta from Liguria), as well as gnocchi and roasted broccolini. 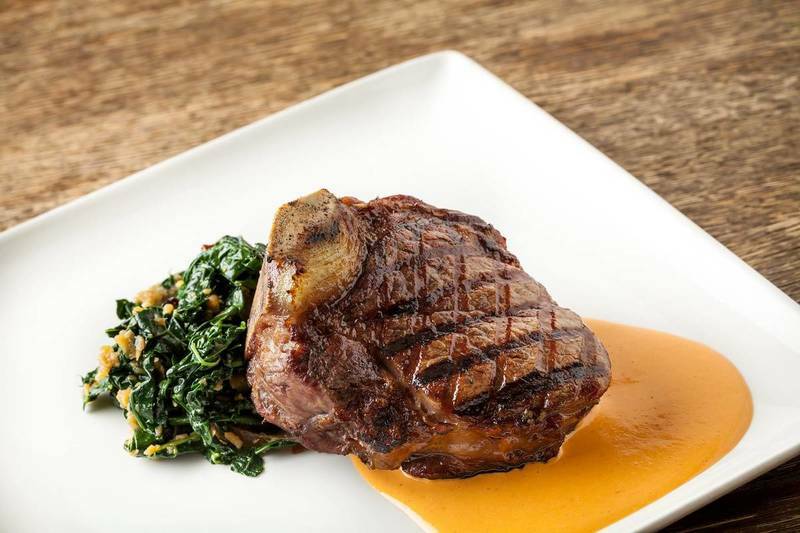 There are a lot of Italian steakhouses in this world; Chianina Steakhouse stands alone as the only place in the States to enjoy the delicious white Tuscan steer. Cut Beverly Hills. 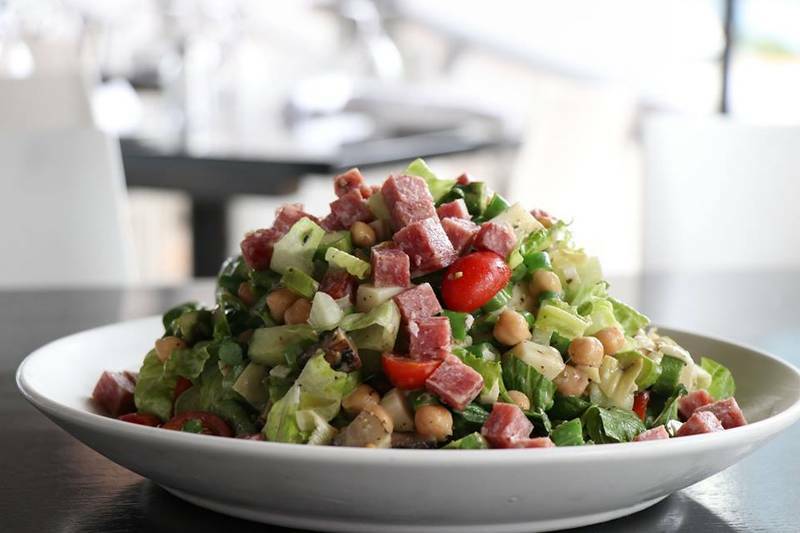 Wolfgang Puck was born Austrian, but at Cut Beverly Hills, he continues the French tradition of cooking he perfected first in France at Hotel de Paris and then at his own groundbreaking Ma Maison in California. He’ll serve you a fantastic steak…with a French inflection. 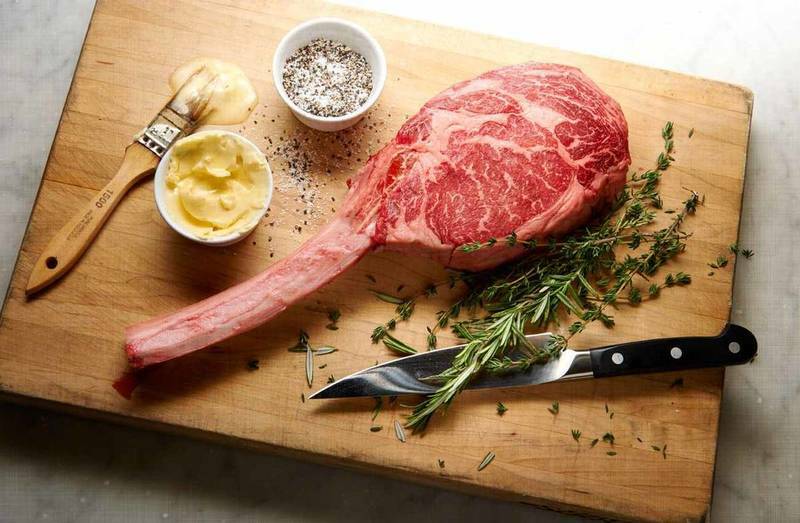 There are perfectly prepared USDA Prime filet mignon, sirloin and other cuts, dressed in your choice of classic French sauces, including Cognac grain mustard, red wine Bordelaise, and Bearnaise. What to drink with all of that? French wine, of course, selected from Puck’s admirable cellar. The Palm. As Italian cuisine has some flavors that are most complementary to red meat, there are many Italian steakhouses across the country. The Palm was one of the first. The meat is USDA prime corn-fed beef, and these marvelous slabs of well-marbled meat are served with Italian favorites including Caprese salad, calamari fritti and a compendious collection of Italian wines. The Palm cellars many very steak friendly wines, including sparkling white from the Veneto and a large selection of Super Tuscans, just what you want with your meat.